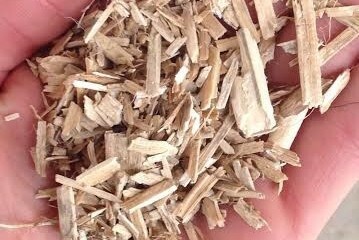 Sustainable hempcrete is a composite material of hemp and lime, which, when used around a timber frame, is not only strong, but also acts as an excellent insulator for the building. Although hempcrete has been used in structures around Europe for the past 10 years, the WISER Life Building in Ballymun will be the first public building in Ireland to adopt this exciting technology. 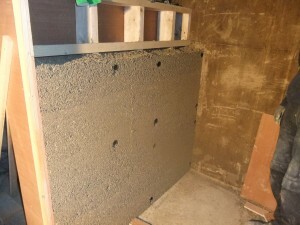 During a successful trial before the main building installation, the hempcrete panels were met with enthusiasm by the architect, builders and client. Once the building is complete, an internal section of the hempcrete will be left partially exposed so that it will be visible for visitors to observe. 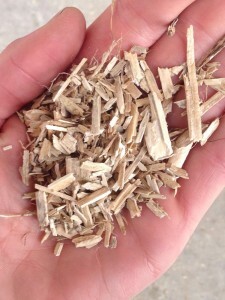 Another critical aspect of the hempcrete is that it has been sourced as locally as possible. Since properly processed hemp is not yet available in Ireland, the hemp is imported from Yorkshire, and the lime binder is from Larne in Northern Ireland.